Lord, Your ways are not the ways of men. Confound the wise and bring forth Your Laws and Your statutes for all men to behold. Pray with us during the March for Life—go to iPRAYforLIFE.com to find out how. A federal judge in Pennsylvania on Monday blocked the Trump administration from enforcing new rules allowing employers to obtain exemptions from an Obamacare requirement that they provide health insurance that covers women’s birth control. “The negative effects of even a short period of decreased access to no-cost contraceptive services are irreversible,” Beetlestone said…. About 70,500 women would lose coverage, putting them at risk of unintended pregnancies, Beetlestone wrote…. God helping us to no be discorage in front these evil regulations that confuse special womens please let stay strong and guide us to continue to trust on you. You promess us to be our Lord and savior. Please be with us in these battle against evil forces. Thank you Lord for all the ministry You have raised up to fight this battle on a larger scale. Protect and prosper them and add to their number more voices until we overcome and Your plan is set in place. Another bad ruling from a liberal judge. There would be no dire consequences by Trump’s policy. 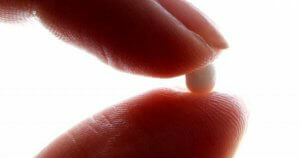 People could still buy their own contraceptives if they want them. This ruling is simply to perpetuate a clash between the government and people of faith, which I believe was the original intention of those who put the Affordable Care Act together, and one reason why Nancy Pelosi rushed the 2500 pages of legislation thru the House in just 3 days over many objections saying, “We will have to pass it so we can find out what is in it”. Well we’ve found out. Your vote matters. Put the wrong people in power and you get evil legislation like this and bad judges to back it up.